Yesterday we knew that five of US mobile carriers will launch Samsung Galaxy S III from this June. Among them Verizon Wireless is the first to announce all the details. They will start taking pre-orders from US customers from June 6th at 7AM ET. And they ask only $199.99 for it on a year contract with data pack subscribed. It is the price of 16GB version. Pre-ordering 32GB Samsung galaxy S III will cost you $249.99. But the official shipment date is still unknown. We expect a date on 3rd week of this month. US Samsung Galaxy S III has the same 1.5GHz dual core Snapdragon S4 CPU with 2GB of RAM. Check out Verizon website now if you wish to buy it. Don’t be late. Because the stock of this kind of hot cake is always ready to end. 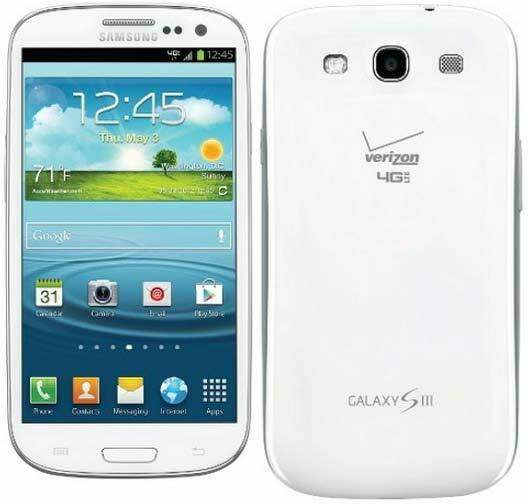 You can read the Verizon official press release on Samsung Galaxy S III to know more. AllShare® Play – Share HD videos and your favorite songs by streaming multimedia content from the Galaxy S III to a compatible Samsung Smart TV® or home audio system when connected to the same Wi-Fi network, and remotely access files on up to six Samsung devices. microSD™ card slot for expandable memory.